The excitement of building a dream home from scratch is like no other. To go from blueprint to reality, to see the studs turn into walls, to walk on the new bamboo floors, the designer paint applied and finally to have the designer furniture arrive is thrilling, to say the least. But let me tell you something, I don't care if you hire the fanciest “Designer designer” in town, your home will be empty if your purpose isn’t living in there with you! We have to be so careful we’re not just building glamorous stuff around us in order to keep from figuring out how we’re designed to function outside of those amazing walls. Whether it’s your home, your office, or even your wonderfully designed family, though it includes those things, your destiny is bigger than all of it. It’s an individual thing. It’s an individual journey you must decide to take. This is not the time to stay “at home” (or at home base), no matter how beautiful it is! 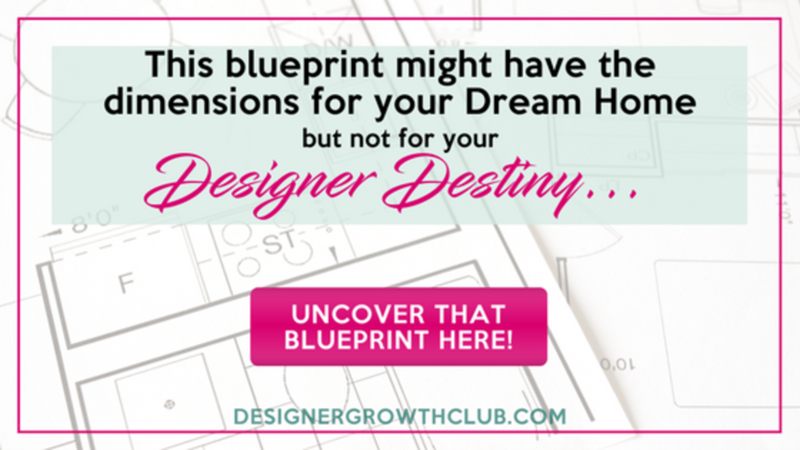 Uncover your original blueprint in the Designer Growth Club. Get on the waitlist NOW! Looking to get your life, handle your biz or bolster your belief? Designer Growth Club is for you. Designer Growth Club is revolutionary, 360º coaching delivering strategic personal and professional positioning to visionary women of faith. GET ON THE DGC VIP WAITLIST! A Multitalented Doctor, Humanitarian Pianist, and an Artistic Air Traffic Controller! Become an exclusive charter member of the Designer Growth Club and start growing and becoming BIGGER and BOLDER in your life and business! Enter your information below to get on the DGC Waitlist!